Click on the Tree House Bookshop image to start the slideshow charting our adventure with a selection of photos. Small Business Saturday – half price sale! Saturday 6 December (tomorrow!) is Small Business Saturday – we have lots of small businesses in Kenilworth offering all sorts of opportunities for Christmas shopping, so do consider having a look rather than going to the bigger stores elsewhere. Much more civilised too than fighting the insane crowds at this time of year! You may not consider second-hand books as Christmas presents, but they make great ones. Lots of our books are in very good condition, some pristine, and they certainly make great stocking fillers. Plus some older books that are no longer available don’t suffer too much from being a bit bashed around the edges! You’ll also need some good reading material yourselves, I am sure, for the holiday period – nothing lovelier on a dark, cold, wintry day than curling up with a cup of tea (or something stronger), a blanket and a book. So – we are having a one-day half price sale on Saturday, so all books, CDs and DVDs will be half the marked price – you can buy twice as many! Then in the evening we have our wonderful Folk Night, with Sharpe & Guy and The Somerville Gentlemen – tickets are £6 for a full evening of lovely music. 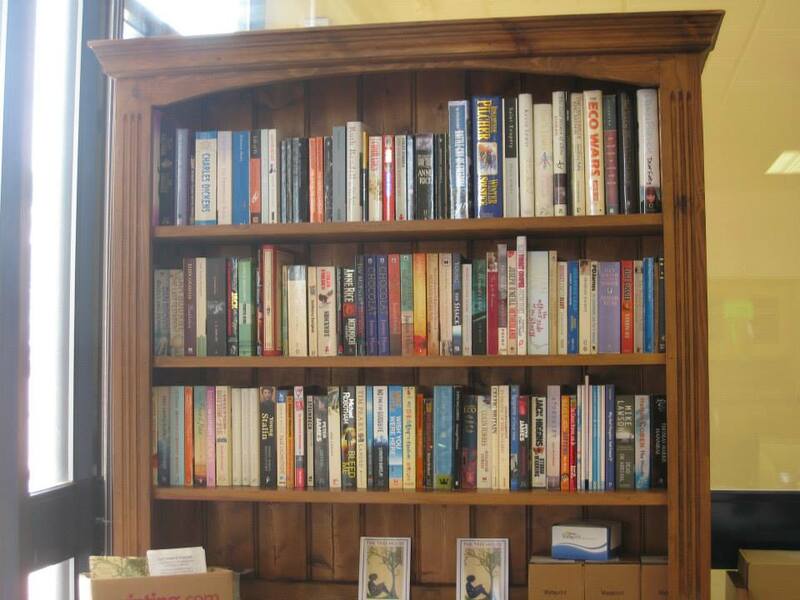 So come and join the fun – buy lots of books, then come and listen to lovely music. The ever-boiling urn will be on all day, lots of different kinds of tea plus coffee and hot chocolate – perfect!